_____________________________________________________________________________________HAPPY HOLIDAYS FROM YOUR FRIENDS AT BULL CITY BBQ! PLACE ORDERS BY DECEMBER 14TH TO ENSURE ONTIME HOLIDAY DELIVERY. Any deliveries placed after December 24th will be processed and shipped after January 4th. CONTACT US FOR DETAILS ON EXPEDITED SHIPPING OR CUSTOM BULK ORDERS! The one certainty in the BBQ world is that “Barbeque” means different things to almost everyone. It may depend on where you live, how you cook it, or where you first tried it. No matter what it means to you (or how you spell it), we think you’ll agree that it’s a fantastic way to spend time with family and friends. 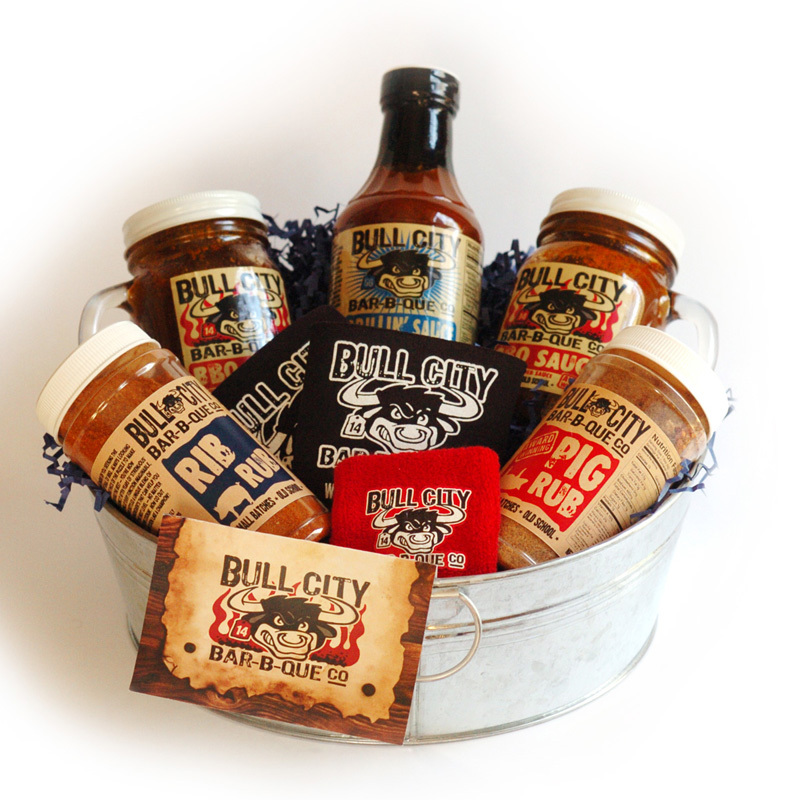 We at Bull City Barbeque Co. look forward to the continued journey – come on along! 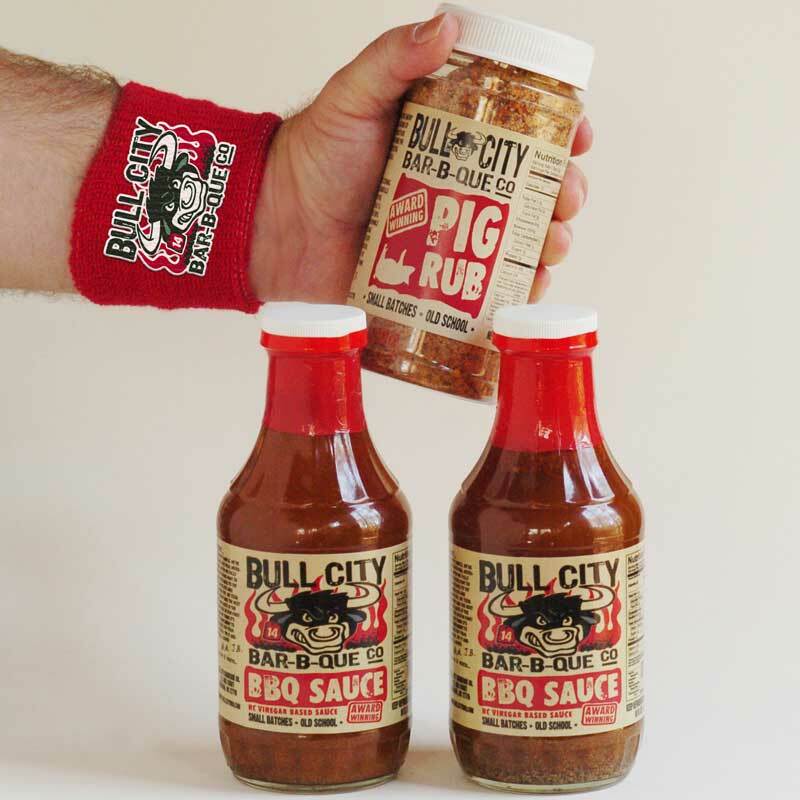 For those seeking “the Smokey Grail of BBQ”, bring home the collection of “old school” sauce and rub recipes that brought Bull City BBQ home the trophy from our very first BBQ contest. And…we haven’t looked back as we are always sharing our love of BBQ and “smoking” our competition as we continue our journey! Our unique gift basket combinations are a great — and delicious! — way to share “old school” Bull City BBQ with friends and family. Let us send custom gift baskets to all of your corporate clients. We are sure this is a gift they haven’t had before! Email us if you would like to personalize your order.